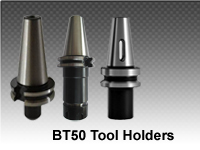 ~~BT Tooling comes in a range of sizes designated as BT 30, BT 40, BT 50, etc. and uses the same NMTB body taper as CAT 40. 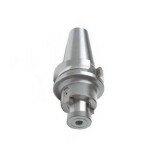 BT tooling is symmetrical about the spindle axis, which CAT tooling is not. 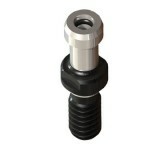 This gives BT tooling greater stability and balance at high speeds. BT Tool Holders will accept both Imperial and metric sized tools. 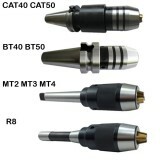 BT Tooling looks very similar and can easily be confused with CAT tooling. The difference between CAT and BT is the flange style, thickness, and the thread for the pull stud is a different size. BT Tool Holders use Metric thread pull studs (retention knobs). 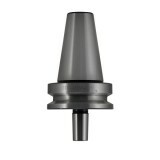 BT50-45° Finish: Black Oxide Runout: .01mm/.0004in TIR Works on all BT50 machines All cr..
EB50-JTA Jacobs Taper Adapter Specifications: Finish: Black Oxide Runout: .005mm/.0002i..
Collet chuck BT50-ER Specifications: Finish: Black Oxide Runout: .005mm/.0002in TIR Works ..
BT50-SM Shell Mill Holder Specification: Finish: Black Oxide Runout: .005mm/.0002in TIR.. 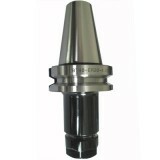 Drill Chuck DC-WL type Specification: ​ Order No. Type ..